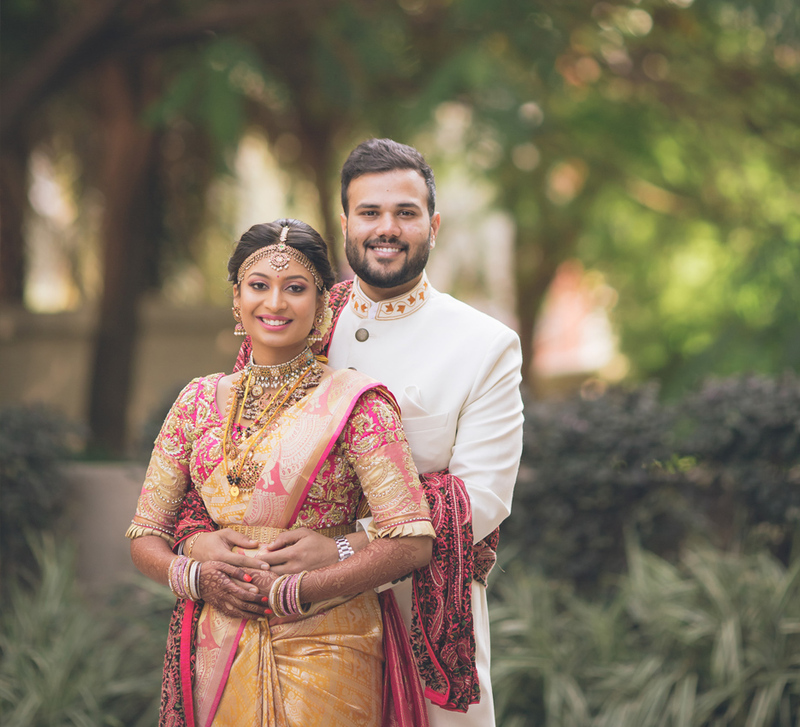 This couple had an energetic sangeet where the bride’s father played the harmonica which was followed by a gorgeous sunset wedding. Through the course of their endless conversations during surgery rotations, secret meetings on vacant patient floors and breaks to dig into some hospital ice cream together, Sonia and Ekamjeet built an unbreakable relationship. A few years in, they knew that marriage was what the doctor ordered. 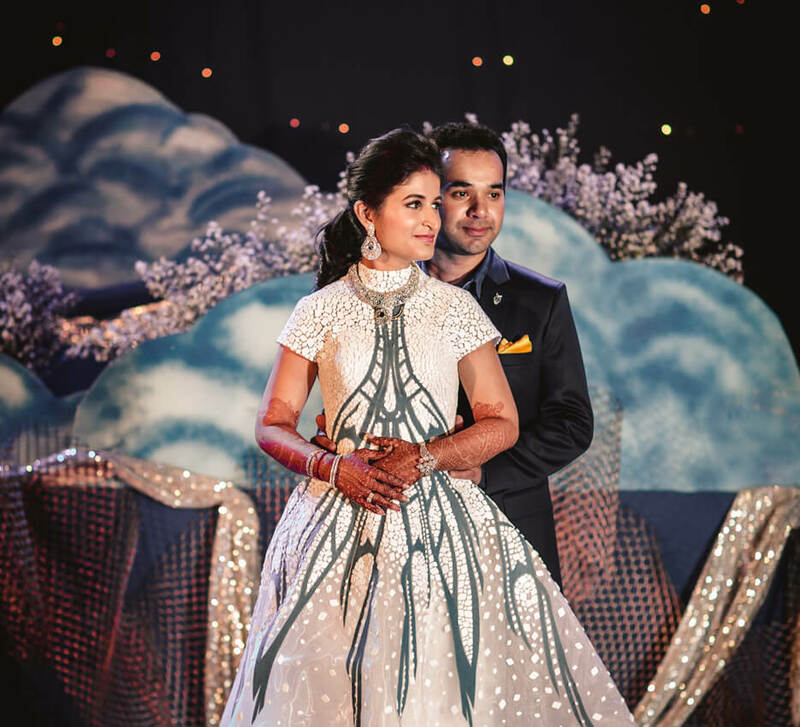 Ekamjeet marked the beginning of a new chapter with the sweetest proposal. 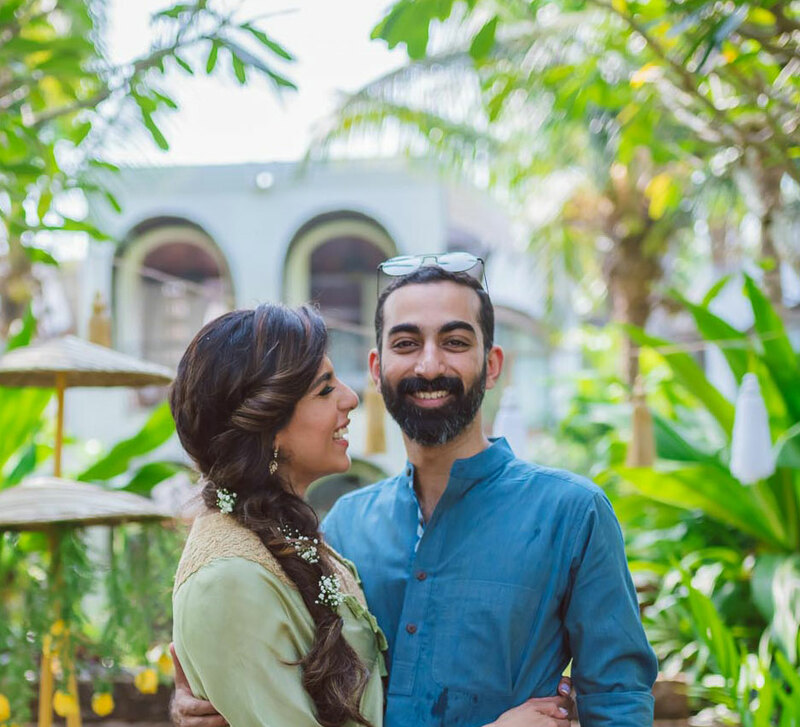 The bride shares with us their journey and highlights from their wedding. “We had an amazing sangeet function ringing with the sounds of the dholki and traditional songs, bhangra, delicious food and lots of love. My family decorated the hall with flowers, lights, and garlands to make the occasion look celebratory and exciting. My brother lit up the dance floor with his dhol beats and my Dad followed with a melodious harmonica performance. 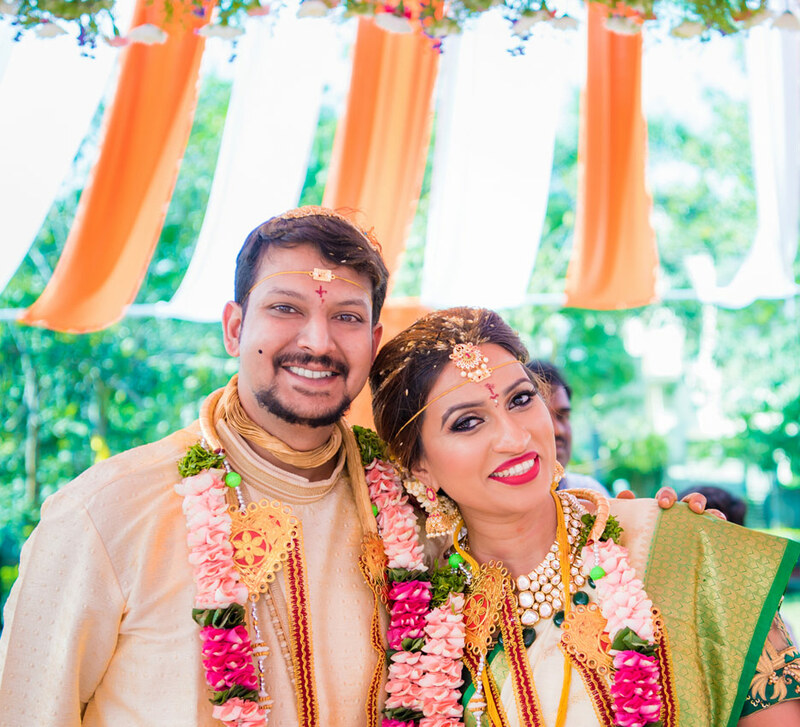 “We had a beautiful Hindu ceremony and the space was set up for over a hundred attendees. Each guest received appetizers, a scroll containing information about the ceremony, and an adorable potli curated by my mother that was filled with dry fruits and chocolates. The ceremony ended just as the sun was setting and made for a breathtaking backdrop. What followed was an elegant dinner in the extravagant tent after which desserts and coffee were served. “The last in the line-up of events was the reception. Peach, champagne and white were the colors that made up the decor. Shimmering drapes, floral table covers, candles and gorgeous arrangements of fresh blooms were used to deck up the venue. 1. “Try to enjoy the process of wedding planning as much as possible, it’s a once in a lifetime opportunity. 2. Follow a realistic timeline and if it gets very stressful feel free to take some days off from planning. Make sure you enjoy the time you have with your friends, family, and fiancé. 3. Call multiple vendors and make site visits prior to finalizing your venue and picking decorations.